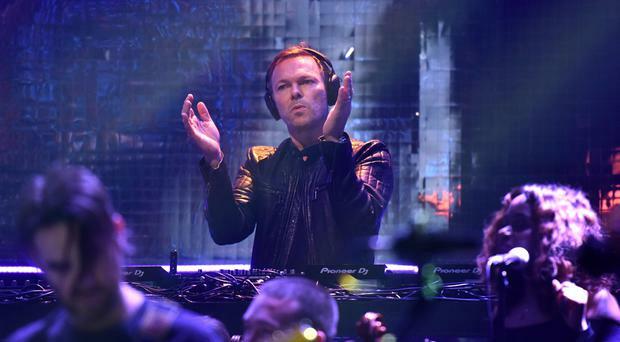 Pete Tong and the Heritage Orchestra perform during filming of the Graham Norton Show at The London Studios, south London, to be aired on BBC One on New Year's Eve. Offering a unique Christmas shopping experience with over 40 crafters to choose from, ranging from ceramics, leather, glass and jewellery. With a dedicated Food Fayre located within the ground floor of the Guildhall, this event has something for everyone. Kirkistown point-to-point is the perfect day out for all the family, where you will get to witness the future stars of the racing industry make their introduction into competitive racing. Being named after an iconic Wild West film hero is a lot for anyone to live up to. Is Shane Todd a hero? Maybe. But also maybe not. Shane rides into town with a hilarious, brand new stand-up show at the Ulster Hall. This union of classical music and iconic dance tracks is another bold, brilliant move from one of the most influential figures in dance music performed at the SSE Arena. Elf The Musical is the hilarious tale of Buddy, a young orphan child who mistakenly crawls into Santa's bag of gifts and is transported back to the North Pole. Elf The Musical, performed at the Waterfront, is packed full of songs that will have you humming all through Christmas. Showcasing a range of contemporary, classic, cultural and new cinema, the Foyle Film Festival presents a fantastic line-up to suit any film fan. For full line-up, visit FoyleFilmFestival.org. The Studio Symphony Orchestra returns to the Lagan Valley Island for a Christmas concert guaranteed to get everyone in the festive spirit. This will be a special fun concert, as the orchestra performs a beautiful selection of music with a seasonal theme, from popular Christmas favourites to much-loved orchestral music. Ebeneezer Scrooge is the richest property developer in Belfast. And the most tight fisted. He knows the price of everything and the value of nothing. Will Scrooge change and repent of his greed? Will he help the poor and destitute and become a better man? Or will he remain the same old capitalist pig that he always has been? After all, it was probably just a creepy oul dream. With several trees and lights decked along its long main street, combined with stunning views of the Sperrin Mountains in the distance, Cookstown's Christmas lights are some of the prettiest in Northern Ireland and are truly a sight to behold. With a range of activities for the kids, local vendors supplying tasty food and an appearance from Santa Claus himself, this promises to be a fun night for all the family. Jimmy possess a very rare talent, not only as a phenomenal singer but also as a hilarious mimic of other major stars. Jimmy’s show contains a wide variety of material, Country, Big Ballads and tribute medleys to the greats of country music such as Hank Williams & Charlie Pride performed at the Riverside Theatre.